Gimphoto is released using GPL, but where is the source code? so many asked that question. Until Gimphoto 1.0 and 1.4 there is no source code. 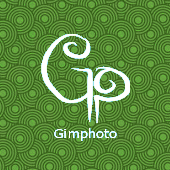 Gimphoto is GIMP Repackage NOT Recompilation, all modification is done at binary level. Why? because when i tried to build Gimphoto, i still can't compile GIMP for Windows. To compile GIMP under Windows is very hard specially for they are that not have good internet connection. All tutorial is using old version, 2.3.10 and using script to automatically download all the files that needed and compile it, but i can't use it because my internet connection always up and down, so the script always stop in the middle of download process and failed to finished the compilation process. Gimphoto 1.4 modification is done at binary level so this why Gimphoto is only available under Windows. I install GIMP for Windows. I modified file /Program Files/Gimp-2.4/share/gimp/2.0/menus/image-menu.xml to more like PS7 menu structure. I run GIMP to check if there is menu structure that is not like what i want and i trace it what is the problem. Main problem is the GIMP plugin menu location is hard coded inside the plugin so i must modify it to adjust plugin to the new menu location. channel_mixer.exe original located at /Colors/Component, i changed it to /Image/Colors. I change around 35 plugins executable using HEX Editor (I use HxD, try it, it's great Free HEX Editor) to adjust new menu structure. After the main menu is adjusted like i want then i download additional plugins to included with Gimphoto. I download the plugins, install it and test is to make sure it works with GIMP. I check the menu location of the plugin, if not like what i want then i edit it with HEX Editor. Run GIMP again to test if the plugin menu location is ok and plugin is working under new menu location. After all additional plugins installed and tested, then i preparing additional resources. I modify original gradient set (select only the good one) and add additional gradientset. I create installer using Free NSIS Script Installer Compiler. Testing the created installer under Windows 2000 and Windows XP. Release the package to http://www.gimphoto.com. now you knew the reason why there is no source code for Gimphoto and why i'm not using Sourceforge.net to host Gimphoto. When will you have a build from modified source for win32? Gimphoto already use modified source code since version 1.4.3, for download the Gimphoto source code goto DEV section at this site.